Striking reddish foliage make this a unique plant. Comments: Hardy only down to 30 degrees F., buot make a handsome house or container plant when grown in bright light. When grown outside, it can not stand direct, foliage will burn when grown in hot afternoon sunlight. 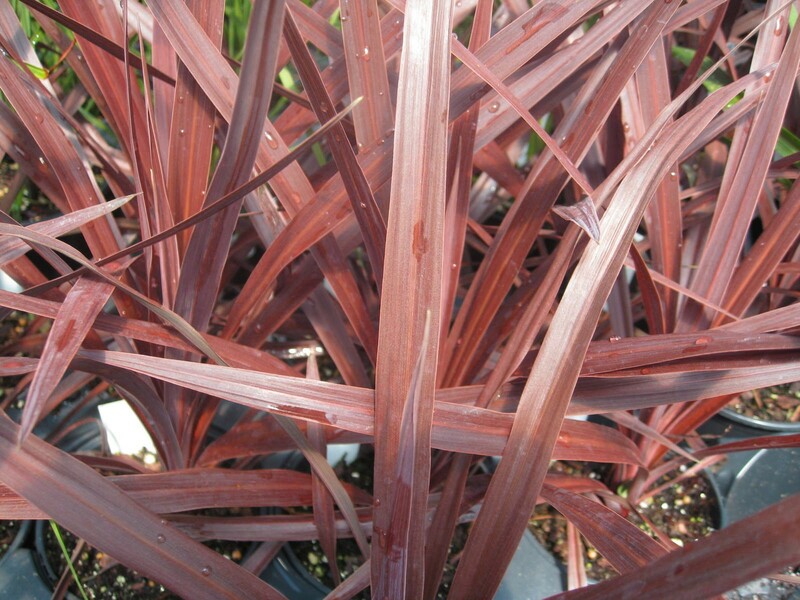 The burgundy-red foliage make it a striking plant.